Pacific Plate Brewing Company has collaborated with three up-and-coming brewers in Los Angeles and the San Gabriel Valley; Feathered Serpent Brewery, Brewjeria Company, and Inquisitors Brewing Company. This project will culminate with FeBREWERY FEST, a festival of the Latino brewer, at Pacific Plate Brewing Company in Monrovia on Saturday and Sunday, February 9 and 10 from 12:00pm to 10:00pm both days. All three of these brewing companies are comprised of members of the SoCal Cerveceros, the largest Latino-focused homebrew club in the United States and Anchor Brewing’s 2018 Homebrew Club of the Year. SCC serves as a hub for local brewers to hone their skills, further their brewing knowledge, and seek support from a collective of like-minded individuals. Inquisitors Brewing hosts periodic tasting events aimed at fellowship within the community. Feathered Serpent Brewery is preparing to open a commercial brewery in the city of San Dimas. 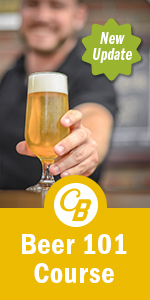 Brewjeria Company has built a strong network of professionals committed to working with underserved communities in the Greater Los Angeles area and, since the 2014 passing of AB-2609 in California allowing donations of homebrew to nonprofits, has worked with over 30 nonprofit organizations in LA County to supply homebrewed beer for fundraisers. Pacific Plate Brewing Company has teamed up with these brewers, providing mentorship and a venue to take the recipes they developed as homebrewers and scale them up to commercial brewing. Three collaboration beers will be on tap during FeBREWERY FEST; an Amber Ale, a Fruited Belgian-Style Saison with Cranberries, and a Belgian-Style Tripel with Muscat Grapes. The post Pacific Plate Brewing Presents FeBREWERY Fest appeared first on CraftBeer.com.